When you think Florida Active Adult Communities, thoughts of sitting poolside soaking up the sun aren’t far behind. Swimming and sunbathing in Kings Point is one of the most popular activities for residents and their guests to enjoy throughout the year. 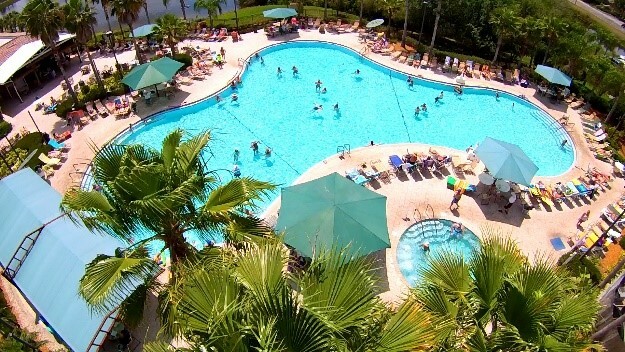 Kings Point Suncoast offers both indoor and outdoor community pools for swimming, socializing and relaxing. 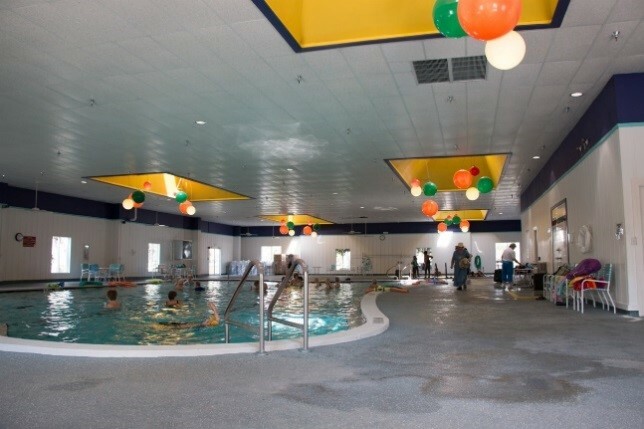 The Kings Point 55+ community pool amenities include six pools, whirlpools, barbeque areas, saunas, restrooms and shower facilities for convenience. All pools are fresh water and heated for use year round for residents’ enjoyment. 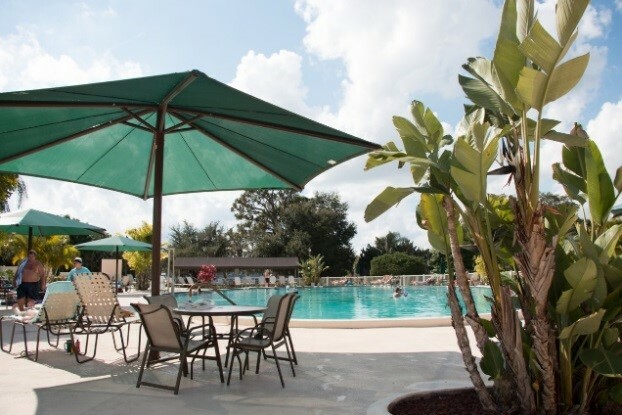 Our Main Clubhouse has large outdoor and indoor active adult community pools and a whirlpool. The outdoor pool area includes a large gazebo with barbeque and bocce ball courts for private parties or community wide events. The South Club offers a resort-style outdoor community pool area and whirlpool with a large deck for cookouts and parties. Stop by and enjoy live music and a beer and hot dog during one of our community pool party events. 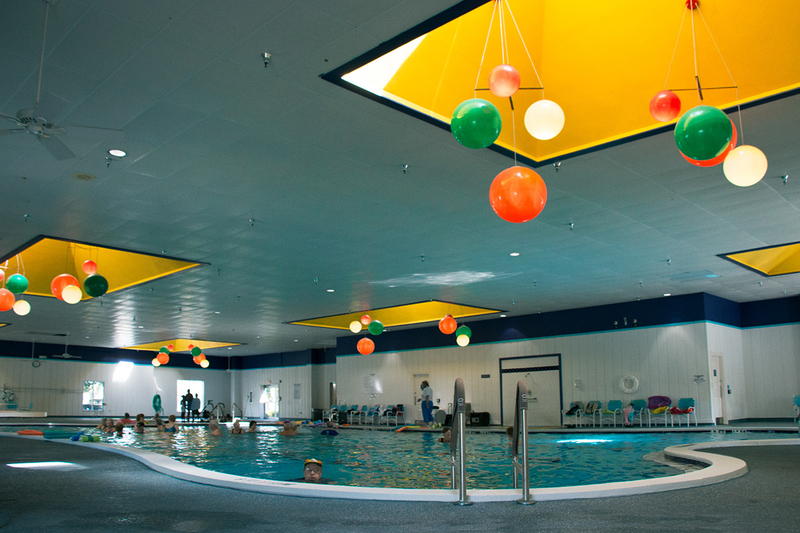 Or swim in the indoor lap pool and walk in the indoor aerobics pool for those who like working out in the water. Enjoy lively water exercise classes emphasizing range of motion and including gentle movements. More energetic classes offer a total body workout using water weights for resistance and strength training. Both clubhouses are equipped with men’s and women’s saunas and showers to freshen up after a dip in the pool or a workout. Whether you enjoy sitting poolside catching some rays, swimming to stay cool on a hot day, or taking water aerobics class with friends, our 55+ community pool amenities will fit every need. 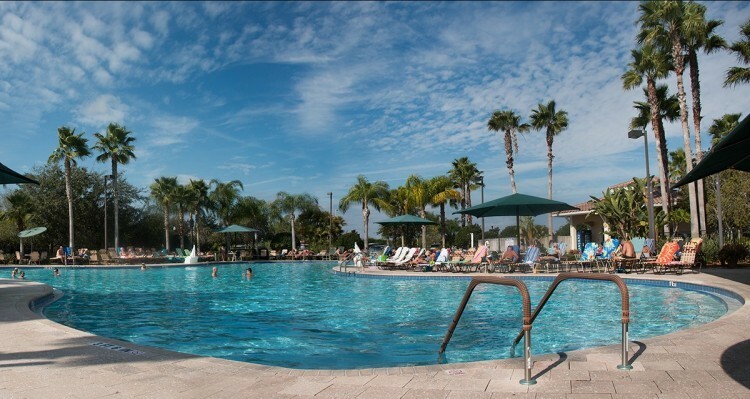 Grab your bathing suit, towel and sun screen and join us at the pools in Kings Point to indulge your sunshine state of mind in our resort style community.